Reviews of the Olympus M.ZUIKO Digital ED 12mm f/2 from around the web. 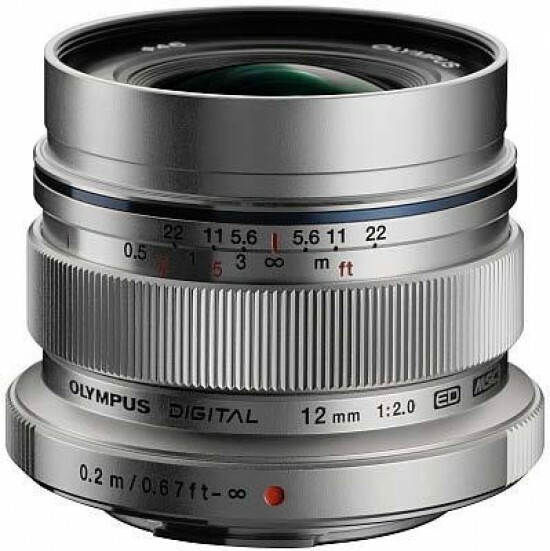 The Olympus 12mm ƒ/2 ED M.Zuiko Digital was released in June 2011 alongside the E-P3 camera. The lens is designed to fit the micro four-thirds mount, and will not mount on standard four-thirds bodies. The Micro-Four-Thirds (MFT) system is clearly the most mature micro-camera system on the market. Consumers can choose between a large variety of cameras as well as lenses. However, to date MFT covered primarily the budget to mid-class market segment only - possibly because the high-end approach of Four-Thirds (classic) failed so both Panasonic as well as Olympus were probably a little shy of entering again. The Voigtlander Nokton 25mm f/0.95 created some buzz though so there is a market here after all. Olympus has now finally released its first professional grade MFT product - the Olympus M.Zuiko 12mm f/2 ED. They've thrown in a couple of new technologies both in terms of optics and mechanical implementation. The pricing is quite brave with an MSRP of 800EUR/US$ although the usual street price is generally lower, of course. I’ve written several times here, on our site, that, in my humble opinion, small, fixed-focal lenses are the biggest strength of mirrorless systems - they don’t take a lot of space, attached to a body, they are physically light and they provide a great image quality at the same time. These lenses don’t have to be typical “pancakes” but their dimensions should fit the dimensions of a body well. The Micro 4/3 system features the biggest number of such lenses because two companies have actively supported its creation and development. You can list here the Olympus M.Zuiko Digital 17 mm f/2.8, the Panasonic LUMIX G 14 mm f/2.5 ASPH or the Panasonic LUMIX G 20 mm f/1.7 ASPH, which have already been tested by our team.